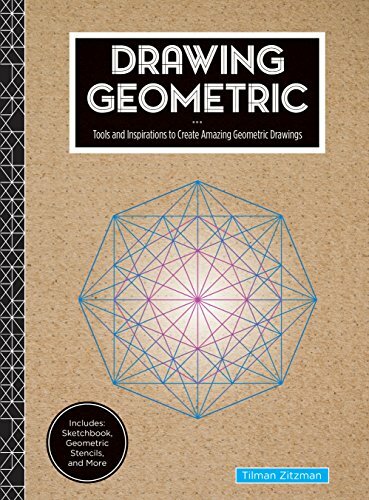 Let your creativity flow by drawing amazing geometric shapes! Whether you're a beginning artist looking for a way to get in touch with your creative side, a harried executive looking for a meditative hobby to reduce stress, or are already an experienced artist, learning to draw geometrically can expand your horizons, giving you a new angle on how you view your world. Even if the thought of drawing daunts you, anyone can draw simple shapes like triangles, circles, squares, and hexagons. This kit will show you how to put those shapes together in surprising ways and patterns. - Plus empty pages for your own amazing creations! If you have any questions about this product by Rock Point, contact us by completing and submitting the form below. If you are looking for a specif part number, please include it with your message.